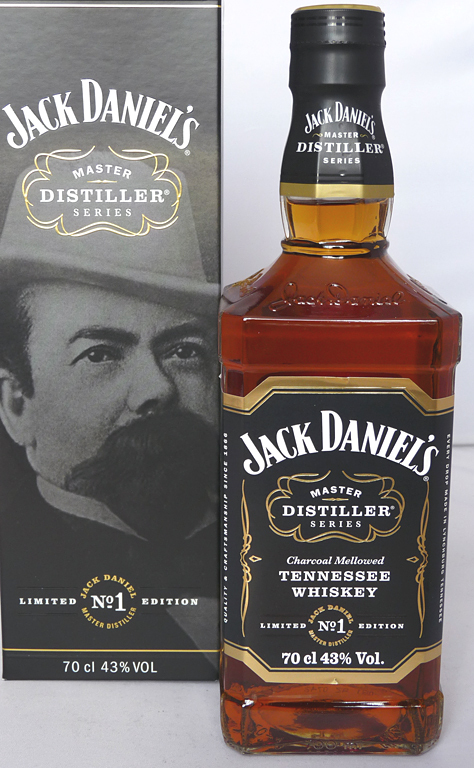 This version of Jack Daniels was a new addition to the Whisky Bible in 2015. The bible author, Jim Murray, gives it an excellent 90.5/100 which classifies it as “brilliant” which is the same banding as the 92/100 he gives the classic Jack Daniels No.7. The members on Whiskybase are less enamoured with the No.7, which they score 65.77/100 from 309 member votes. Personally I liked it but only after giving it 10 minutes to allow the smell of glue to dissipate. But 83/100 on Whiskybase is a very good score for the No.1. Nose: wonderful dose of extra tangy kumquat over the normal JD signature; something of the fruity cough sweet about this one. Taste: a massive, pleasantly oiled mix of molassed fudge and liquorice. Overall balance and complexity: no mistaking the JD pedigree. Just a few telling extra degrees of fruit. This entry was posted in Jack Daniels and tagged 43%, 70cl, America, American, Jack Daniels, Master Distiller Series, NAS, No.1, Sainsbury, Tennessee Whiskey. Bookmark the permalink.